There’s not a lot to say about Pearl City, except that the name is a misnomer. One visit will immediately tell you that there never was a city here. 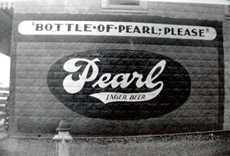 According to the Handbook of Texas Online, Pearl City was “reputedly” named for the quantity of Pearl Beer sold in a local store. It’s a better reason for a town name than some places. Pearl City with its DeWitt County neighbors of Hocheim, Petersville and Buchel make for a scenic and interesting country drive between Cuero and Yoakum. We recommend a detailed TxDOT county map since only Cuero and Yoakum show on the state highway map.